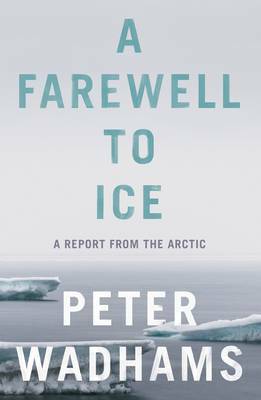 'Utterly extraordinary ... the starkest book I've read on the impacts of accelerating climate change for a very long time ... if we're not listening to the likes of Peter Wadhams, then we too are in denial' Jonathon PorrittMost of the scientific establishment predict that the North Pole will be free of ice around the middle of this century. As Peter Wadhams, the world's leading expert on sea ice, demonstrates in this book, even this assessment of the future is optimistic.Wadhams has visited the Polar Regions more often than any other living scientist - 50 times since he was on the first ship to circumnavigate the Americas in 1970 - and has a uniquely authoritative perspective on the changes they have undergone and where those changes will lead. From his observations and the latest scientific research, he describes how dramatically sea ice has diminished over the past three decades, to the point at which, by the time this book is published, the Arctic may be free of ice for the first time in 10,000 years.Wadhams shows how sea ice is the 'canary in the mine' of planetary climate change. He describes how it forms and the vital role it plays in reflecting solar heat back into space and providing an 'air conditioning' system for the planet. He shows how a series of rapid feedbacks in the Arctic region are accelerating change there more rapidly than almost all scientists - and political authorities - have previously realised, and the dangers of further acceleration are very real.A Farewell to Ice is a report from the frontline of planetary change in the Arctic and Antarctic by a leading authority, presenting incontrovertible scientific data, but always in clear language which the layman can easily understand. It is one of the most important books published in recent years about the existential challenge which human civilization now faces.